Petr Zelenka (1967) is an experienced film screenwriter and director. In drama he creates a special world that seems realistic, but there are moments of distortion, absurd exaggeration and black humor. The author leaves us in doubt whether he likes his characters or makes fun of them. He examines the paradoxes of our lives, touching the fundamental problems of human existence at present, he often speaks about strange relationships and absurdities in work and life. Petr Zelenka (* 21. 8. 1967). Graduated in scriptwriting and dramaturgy from the Film Faculty of the Academy of Performing Arts in Prague. Made his debut as a director in 1993 with a film about punk, Visací zámek. In 1997, he premiered his most highly awarded film, the episodic film Buttoners, which won the prestigious Czech Lion for best script, direction and film. The popular film Loners (2000) was based on Zelenka’s script. For his recent films Year of the Devil (2003) and Tales of Common Insanity (2005) he was awarded by main prizes at the International Film Festivals in Karlovy Vary resp. Moscow. In 2008, he introduced his film Karamazov that the Czech Film Academy sent out to the Academy Awards competition as the Best non-English film. Since 2011, he has directed the HBO series Therapy, starring Karel Roden. Currently the third season of the show is being produced. In autumn 2015, the audience greatly acclaimed his film comedy Lost in Munich that by means of mystery comedy describes the events around the 1936 Munich Agreement. In the future Petr Zelenka is preparing the film Modelář. He made his debut in the theatre with translations of plays by Michael Frayn. His debut as a playwright and, for the first time, a theatre director was with Tales of Common Insanity, which in 2001 won the prestigious Alfréd Radok Award for play of the year. In 2006, his Teremin was staged at the Dejvicke Theater (abroad, for example, it was produced as a staged reading in Paris, in December 2011). The production of DD was hosted in April 2017 in the renowned Deutsches Theatre in Berlin. His play, Coming Clean (2007) was commissioned by the famous Narodowy Stary Theatre in Cracow, Poland. The play Endangered Species was premiered in the National Theatre in Prague (New Stage) in November 2011. In December 2012, Zelenka, as a playwright and director, returned to Dejvicka Theatre with Dabing Street. In May 2014, the South Bohemian Theatre in České Budějovice staged Job Interviews that Petr Zelenka wrote directly for the theatre and directed it himself. The starring actress Věra Hlaváčková was nominated for the Thalia Award in the Best Actress category. In April 2016, the directors Marcial Di Fonzo Bo and Elizabeth Vigier staged the play in the French Comédie de Caen under the title Vera. The star casted production including the prominent film and theatre actress, Karin Viardová, in the title role, is currently celebrating success throughout France, and ran for several weeks in the famous Théâtre des Abbesses in Paris, in spring of 2017. Zelenka’s adaptation of Frayn’s one-act play Noises Off, under the title Train Departures, was introduced in Astorka Theatre, Bratislava, in February 2004 and in Warsaw, in March 2017. Zelenka’s plays have been translated into various languages and many of them also have been printed abroad – including the prestigious French Les Solitaires Intempestifs edition. The Czech versions of his dramatic works have been published by the Akropolis Publishing House under the title Ordinary Madness, in 2012. Coming Clean, the latest play by Petr Zelenka, currently the most popular contemporary playwright in Poland, was commissioned directly by the Narodowy Stary Theatre in Cracow. The main plot follows the story of the writer Jacek. 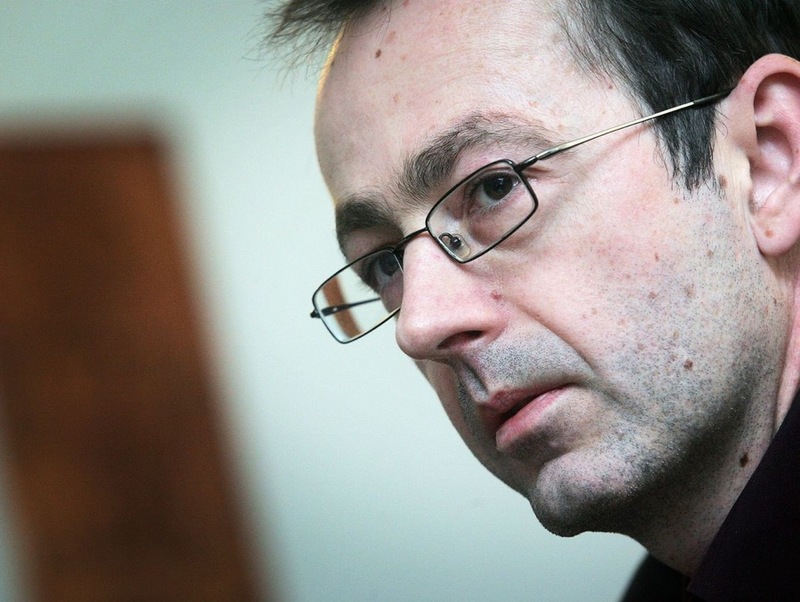 Jacek has a guilty conscience because he had committed a crime: “in a sudden craze” he put to sleep, and then raped his friends’ eleven year old son. The second story line is that of a slow downfall of a TV talk-show called Coming Clean in which popular and respected celebrities confess to their sins. That’s where Jacek’s publisher sends his author after the latter opens his heart to him and tells him about his crime and how he suffers as consequence. Every little bit in the media counts and can help sell Jacek’s latest book. After some inner struggle, the protagonist applies and tells well in advance all those having played a role in his crime about appearing on the show. When he leaves the TV studio, he is ready to bear consequences of his past action. He is surprised when nobody reacts – he finds out the show was only recorded, and another pre-recorded instalment was broadcast on that night. Seemingly favourable incidents begin to push the hero on a downward spiral towards deadly emptiness and cynicism. In the end, the show never goes on air (the show’s editor is divorcing its presenter). Coming Clean is discontinued. Jacek is by then very well settled in TV milieu thanks to his lawsuits over the failure to broadcast “his” instalment and produces a new talk show called Wet Sponge that is both more cynical and rougher. At the party celebrating the new show’s success he is telling his own story pretending it to be a plot of his new novel, but he comes against a harsh moral judgment: a story whose hero doesn’t want to be cleansed does not deserve to be written. In today’s world of slumping media any scandal quickly becomes a tool for advertisement market and its advertisement values completely overshadow any moral dimension. Jacek’s crime goes unpunished. The Czech premiere took place at Jihoceske divadlo (South Bohemian Theatre) in Ceske Budejovice in February 2010. Play is available in Polish, English, Pussian and Romanian language. Unlike the previous Zelenka’s plays, his new text features a female protagonist. Věra owns a casting agency. She employs anonymous actors and actresses, and some really famous ones. She bows to some people, while despising majority of them. She is notorious for her cynicism, but she also has her charm. It would seem that at fifty she can expect a vertiginous career ahead. Instead, we follow her monumental downfall. A workaholic woman who first sees the relationships within her family disintegrate only to lose her job subsequently. This is a deep probe both into the entertainment business and into cynical times that hypocritically claims cynicism is already out of fashion. A time is nigh when everybody will be nice to everybody. Whoever believes this will end up really badly.